The ‘Twilight Saga’ star was one of only 50 people granted access to the Black Keys’ concert at the Sayers Club and according to 987FM morning show host Kennedy spent his time there chatting about alcohol and religion. 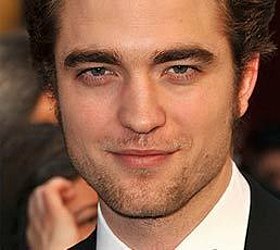 Robert wasn’t accompanied by girlfriend Kristen Stewart, despite recently reconciling with her following her fling with 'Snow White and the Huntsman' director Rupert Sanders. He is said to have forgiven her infidelity as they found fame on the 'Twilight Saga' franchise together and have a deep connection because of it. A source said: "He started thinking nobody else would understand his life. His rational voice told him not to toss a three-year relationship for one infidelity. "Rob weighed his options. He wouldn't even know where to start if he wand Kristen were to break up for good. They have a very deep connection. Plus, they're young. All relationships at that age have drama."